When the British people voted in the referendum last June, they did not simply vote to withdraw from the European Union; they voted to change the way our country works – and the people for whom it works – forever......That means building the shared society. A society that doesn’t just value our individual rights but focuses rather more on the responsibilities we have to one another; ..... a society with a commitment to fairness at its heart....this government will seize the opportunity to build the shared society by embracing genuine and wide-ranging social reform....we will act across every layer of society to restore the fairness that is the bedrock of the social solidarity that makes our nation strong. In her speech to the Charity Commission on the Shared Society she again emphasised that “this Government has a plan [my emphasis], not simply to manage our withdrawal from the European Union, but to take this opportunity to fundamentally change Britain for the better. A comprehensive, wide-ranging plan for the kind of country we want to be. A plan to build a country where wealth and opportunity are shared”. Shortly after she made her 'Shared Society' speech we were intrigued to discover a response by the president of the Club de Madrid in an article published by the Huffington Post. The Club de Madrid is greatly encouraged to see a head of government [Theresa May] adopt the concept of Shared Societies that we have been advocating for the past ten years. Contrary to what some have suggested, the concept, far from being vacuous, just needs to be translated into concrete action plans by any government that is ready to adopt it. The UN Agenda 2030, incorporating the Sustainable Development Goals, very much reflects the Shared Societies Concept when it uses the phrases “realizing the future we want for all” and “leaving no one behind. The World Leadership Alliance-Club de Madrid "partners with governments, inter-governmental organizations, civil society, scholars and the business world...to foster social and political change". On closer inspection we find it to be a 'cosy club' of now unelected globalists working behind the scenes to impose their views across the world. Their aim is to "address issues of national democratic government, transnational governance and collective action on issues of the global commons". Club de Madrid members are all "former presidents and prime ministers from around the world", for example Bill Clinton, president of the United States of America (1993-2001) and founding chair of the Global Fairness Initiative (B); Helen Clark, Prime Minister of New Zealand (1999-2008); Gro Harlem Brundtland, Prime Minister of Norway (1981, 1986-1989, 1990-1996) and Deputy Chair of The Elders (B); José Manuel Durao Barroso, Prime Minister of Portugal (2002-2004) and president of the European Commission (2004-14) (B); Mijaíl Gorbachov, president of Soviet Union (1990-1991); Romano Prodi, president of Council of Ministers of Italy (1996-1998, 2006-2008) and president of the European Commission from 1999 to 2004 (B); Mary Robinson, president of Ireland (1990-1997) and member of the Elders; Guy Verhofstadt, Prime Minister of Belgium (1999-2008) and self-appointed Chief EU Brexit negotiator (B); Herman Van Rompuy, Prime Minister of Belgium (2008-2009) and president of the European Council (2009 - 2014) (B). For reader reference purposes (B) represents an attendee at the secretive Bilderberg events whose discussions are held under the Chatham House rules. We noted with interest the inclusion of Martti Ahtisaari, president of Finland (1994-2000) and member of the Elders (B). He is also a board member of ImagineNations where he sits alongside David Bell (Common Purpose). Further examples of other networks of the internationalists has been exposed in our earlier research article We're All In This Together. Honorary members of Club de Madrid include Kofi Annan, Secretary General of the United Nations (1997-2007), member of the Elders; Jimmy Carter, president of USA (1977-1981) and member of the Elders, and, Aung San Suu Kyi, Honorary Elder since 2007. The current president is Vaira Vike-Freiberga, president of Latvia (1999-2007). vice-presidents are Jorge Fernando Quiroga, president of Bolivia (2001-2002) and Cassam Uteem, president of Mauritius (1992-2002). The Project Funding & Content Partners include such well known names as the European Commission (DEVCO), European Partnership for Democracy (EPD), Foundation Shared Societies and Values Sarajevo (SSVSA), IDEA International, Ministry of Foreign Affairs of Germany, OECD Development Center, United Nations Department of Economic and Social Affairs (UNDESA), the United Nations Development Programme (UNDP), the World Bank and Common Purpose. For the purpose of this article we will focus most of our attention on the shared societies project. According to the Club de Madrid a shared society is one in which "all individuals and constituent groups hold status as equally contributing participants, free to express their differences while integrating their voices within the broader population. It respects everyone’s dignity and human rights while providing every individual with equal opportunity". They readily admit that the shared societies project "has worked from global to local, focusing most of its recent efforts on targeting the Post 2015 Development Agenda process by seeking to mainstream Shared Societies within the Sustainable Development Goals. This is reflected in various places in the Goals and in particular in Goal 16 on “inclusive and peaceful societies”. As recently as 1st February 2017 the United Nations Division for Social Policy and Development (DSPD), in partnership with Club de Madrid, held a high-level panel discussion - The role of the shared society as a strategy to reduce poverty. The Club de Madrid has produced an 84 page guide, which was published in 2015. Ahmed Aboutaleb, Mayor of Rotterdam contributes on page 17. He attended the inaugural convening of the Global Parliament of Mayors in September 2016. 4. Ensure the legal framework protects the life of the individual. 6. Ensure that physical environments create opportunities for social interaction. 7. Ensure an education system that demonstrates a commitment to shared society. 8. Initiate a process to encourage the creation of a shared vision of society. 9. Promote respect, understanding and appreciation of diversity. 10. Take steps to reduce tensions and hostility between communities. Each of these Commitments is composed of a number of additional elements. For example, Commitment 3 - Ensure that structures and policies are supportive of social cohesion requires that "social cohesion is considered in devising governance structures, policy formation and policy implementation and establish procedures and mechanisms to ensure this is achieved and to reconcile divergent positions between sectional interests". 1 Enact statutory provisions that require all public bodies to take account of the impact of their policies and decisions on social cohesion. 2 Create rigorous monitoring and reporting systems to identify policies and activities that will hinder social cohesion and ensure that steps are taken to negate those effects. 3 Establish protocols and procedures for carrying out a “social cohesion audit” of proposed policies and initiatives to test their potential for promoting or damaging social cohesion. 4 Create a unit within government to ensure that proposed policies, where relevant, include measures designed to encourage greater social cohesion. 5 Create neutral, independent bodies to reconcile divergent positions and overcome competing interests through a participatory, consultative process. We wondered if any of these Club de Madrid inspired Commitments had been adopted across public bodies within the United Kingdom? In August 2001, Ted Cantle was appointed by the Home Secretary to Chair the Community Cohesion Review Team and to lead the review into the causes of the summer disturbances in a number of northern towns and cities". The Cantle Report was produced in December 2001 and the concept of ‘community cohesion’ was subsequently adopted by the UK Government. The Interculturalism Community Cohesion Foundation (iCoCo) is dedicated to the promotion of interculturalism and community cohesion. It is a "registered Community Interest Company Limited by Guarantee No.8245448". It was established by Professor Ted Cantle CBE. In 2003–04 the House of Commons, ODPM: Housing, Planning, Local Government and the Regions Committee, published their 80 page report, Social Cohesion. The Commission on Integration and Cohesion was announced on 28 June 2006, by then Secretary of State for Communities and Local Government, Ruth Kelly. The Commission, a fixed term advisory body, was set up to considering "how local areas can make the most of the benefits delivered by increasing diversity - and also to consider how they can respond to the tensions it can sometimes cause". The Commission was launched on 24th August 2006. It was chaired by Darra Singh, the then Chief Executive of Ealing Council. The Commission produced a 168 page report Our Shared Future. Imagine the open communities of 2020 ... thriving and prosperous places where people from all different backgrounds are equal, and where everyone matters – whether old or young, settled or new, Black or White. There are local places where all groups feel that they are treated fairly, and that they have a responsibility to others that transcends the differences between them. Places where people are not fearful of meeting their neighbours, and where they don’t see individual differences as a barrier to the success of the whole community. Initial reading of this Commission's report leaves one with the impression that its' authors had been guided by the '10 Commitments of the Club de Madrid' online good practice guide that we previously examined. For example, we noted that on page 149 'Annex C - Our response to the Department for Education & Schools on the Duty to Promote Cohesion' the Commissioners responded by stating that they "welcome the new duty, and Ofsted’s commitment to it to date. We urge the Government to be ambitious in its support for this area, and to recognise the opportunities that all of its recent school reforms have for supporting this agenda". The Government’s 54 page Response to the Commission on Integration and Cohesion was published in February 2008. Most Local Councils now have a Community Cohesion Strategy. One recent example being Common Cause - Common Purpose, Southwark's Voluntary and Community Sector Strategy 2017-2022. According to the report authors "the strategy supports the public sector equality duty and promotes community cohesion". They also "want to enable individuals and groups to be agents of change, ready to shape the course of their own lives". These Community Cohesion Strategies appear to have been driven by obligations contained within various statutes which include the Equality Act 2010, the Race Relations (Amendment) Act 2000, and, the Education Act 2002, as amended. The information we have examined so far suggests to us that the foundation stones of the Shared Society have already been laid in the United Kingdom. It is almost as though our public officials have been following the Club de Mardid's Shared Society project template. neutral, independent bodies to reconcile divergent positions and overcome competing interests through a participatory, consultative process. But aren't these just the type of bodies that have already been established in various locations of the UK in the not so distant past? The Fairness Commissions that have been established in many local authority areas seem to satisfy this criteria. These were mainly composed of representatives from the public, private and voluntary sectors and used a participatory, consultative process prior to reaching their conclusions. They claimed themselves to be independent bodies although we now know that many of them included Common Purpose within their ranks. And just like the Club de Madrid Shared Societies project many of the Fairness Commissions focused on social cohesion. For example, part of the remit of Newcastle Fairness Commission was to "critically assess evidence of the degree of fairness, cohesion and equality within Newcastle". The Islington Fairness Commission draft final report stressed that "inequality is indeed divisive and the enemy of social cohesion". Of course greater weight could be attributed to our suspicions if we could discover evidence linking pseudo-education charity Common Purpose more closely to the Club de Madrid. It doesn't take much effort to discover that "World Leadership Alliance-Club de Madrid is collaborating with Common Purpose to invest in the younger generation of emerging leaders". According to the Common Purpose website "Club de Madrid Members now represent their own personal leadership experience and commitment and not their countries or parties". This infers that they are independent whilst we now know that Club De Madrid Leaders are committed to a new master: The UN Agenda 2030 and the sustainable development goals. In 2014 "Alison Coburn, Chief Executive, Common Purpose International and Carlos Westendorp, Secretary General of World Leadership Alliance-Club de Madrid signed a Memorandum of Understanding between the two organisations". This is reported on the websites of both Common Purpose and the Club de Madrid. the threats to democracy around the world are all too real. We see the loss of freedom of expression and increasingly restrictive laws....today's young generation "is connected and committed like no generation before". The United Nations is ready to work with you to give young people the voice and the room they need to make their contributions to our common progress. Africa Venture, a leadership development programme for emerging leaders across Africa was launched as "part of the African Development Bank’s Annual Meetings 2015 in Abidjan, Cote D'Ivoire". It is a Common Purpose programme run in collaboration with the Club de Madrid. According to the Africa Venture 2016 report it provides the opportunity "for a rising generation of leaders to interact with former Heads of State and Government from the World Leadership Alliance-Club de Madrid". roll-out of a regional capacity-building and national cascade training focused on enhanced communication and advocacy skills for youth leaders, developed in association with Common Purpose International and Club de Madrid members. We understand that the Anna Lindh Foundation was initially established to be "a Network of National Networks, established in each of the 43 countries of the Union for the Mediterranean and bringing together around 4000 civil society organisations". The organisations include "NGOs, public institutions, foundations, and, local and regional authorities". The Anna Lindh Foundation is Co-financed by the Union for the Mediterranean and the European Commission. 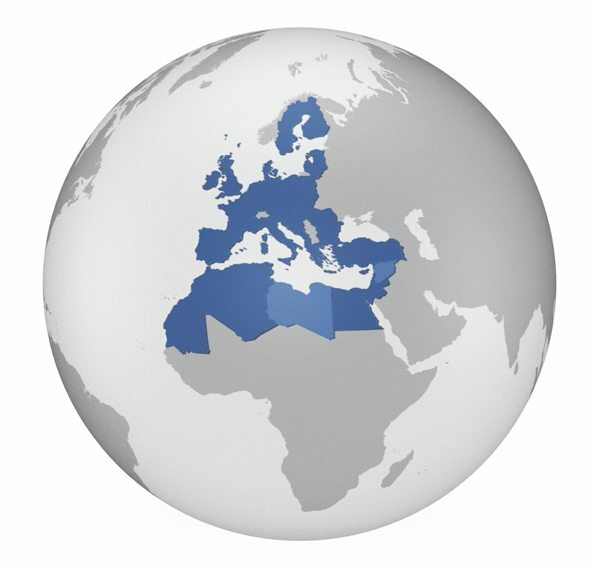 The Union for the Mediterranean "comprises the 28 EU Member States, the European Commission and 15 Mediterranean countries". The 15 Mediterranean countries which were co-signatories of the Paris Declaration for the Mediterranean are: Albania, Algeria, Bosnia and Herzegovina, Egypt, Israel, Jordan, Lebanon, Mauritania, Montenegro, Morocco, Palestine, Syria, Tunisia, and Turkey. Syria suspended its membership to the UfM on December 1, 2011 and we understand that Libya has observer status in the UfM. Debate to Action, a five day, communications and leadership programme ..in Amman, Jordan.. was organized by the Anna Lindh Foundation, the Jordan Media Institute and Common Purpose International in partnership with UNESCO (through the EU-funded NET-MED Youth Project), the British Council (co-manager of Young Arab Voices), and the World Leadership Alliance-Club de Madrid". In November 2016 an expert group meeting of the United Nations Department of Economic & Social Affairs was held at UN Headquarters, New York. The meeting was themed "Ensuring That No One Is Left Behind: The Cooperative Sector as a Partner in the Implementation of the United Nations 2030 Agenda for Sustainable Development". The linkages between the cooperative model and the United Nations 2030 Agenda. The potential of the cooperative sector is vast at the global, regional, and especially the national levels. It has to play a role in global, regional and especially national mechanisms for implementing the SDGs. However, the cooperative model needs an enabling environment to be able to realise its full potential. In our view the UK already has the enabling environment that the United Nations requires in order for cooperatives to play their role in implementing the SDGs. For example, in part 1 of this article series we highlighted how the Localism Act changed forever the relationship between the individual and the state. Further significant changes had previously been introduced by the the Charities Act 2006, with its "revised definition of charitable purposes and a new public benefit regime". These changes provided a fertile environment in which entities such as the Fairness Commissions, which we examined in part 2, could be used to push a mutualisation agenda. The UK Cabinet Office business plan 2012 - 2015 "supported new forms of provision in the public sector, including mutuals and cooperatives", and, "organised the training of a new generation of community organisers....in order to build the Big Society". The 2030 Agenda calls for ensuring that no one is left behind. Inclusiveness is a cornerstone of the SDGs. Everyone is supposed to have equal access to opportunities regardless to race, religion, gender, age, or place of residence. Cooperatives have a long history of inclusive practices. Leaving no one behind infers that there will be citizen engagement. But what is this? over the last decades there has been a shift from a top-down model of government to horizontal and networked governance, whereby the process of governing is ensured by public policy networks, including public, private and civil society actors. From this document we learn that Citizen engagement introduces an alternative approach. Citizen engagement refers to the public's involvement in determining how a society steers itself, makes decisions on major public policy issues and delivers programs for the benefit of citizens. As such, citizen engagement is closely linked to the concept of social cohesion. This concept refers to the building of shared values, reducing disparities in wealth and income, and enabling people to have a sense that they are engaged in a common enterprise and face shared challenges as members of a community. When I, and millions more like me, voted to Leave the European Union in the referendum last June we did not, as Theresa May has implied, vote "to change the way our country works – and the people for whom it works – forever". Neither did we vote for our society to be transformed into a "Shared Society". For more than 40 years successive Westminster Parliaments have surrendered their legislative power to the undemocratic institutions of the European Union. They have done so in the absence of a public mandate whilst hoping that their treasonous actions would escape recognition. The 'Shared Society' vision is nothing other than a badly crafted illusion which is intended to deceive us into accepting the equally undemocratic United Nations Governance model in substitution for the European one that we have already comprehensively rejected.